This is an ultimate Car Glass Cleaner . Concentrate for intensive windshield cleaning. - Instantly removes insect traces and other kinds of contaminations on windshield glass. Leaves windows, glass, and mirrors sparkling clean. Contains fast acting ammonia and solvent degreasers. Cuts quickly and easily through grease, grime, and film build-up without streaking or smearing. 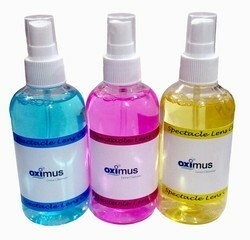 Economical and can be diluted to make up to four litres of glass cleaning product. A Concentrated liquid window cleaner.Leaves windows, glass, and mirrors sparkling clean.Contains fast acting ammonia and solvent degreasers. - Screenwashes help cars cope with various weather conditions.